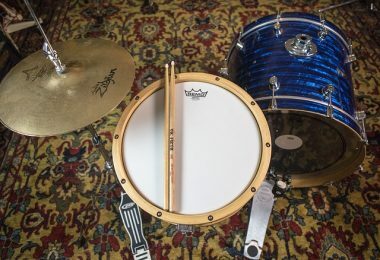 Your ears are the most important asset you have as a drummer, so learning how to protect your ears when drumming is essential. Luckily there are a bunch of different options for protecting your hearing while at the same time not making your drums sound bad. Hearing protection is something that I waited way too long to get into. Between all the drumming and concerts I was attending when I was younger, I’ve started noticing my hearing isn’t quite as good anymore. 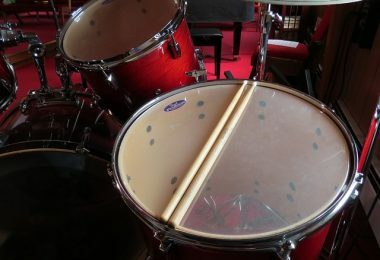 Learning how to protect your ears when drumming is one of the important things you can focus on when starting out drumming. It’s something that most people don’t really think about because it doesn’t affect them in the moment. Did you ever go to a concert and hear that high pitched ringing for a few hours afterwards? It’s called tinnitus, and if you aren’t careful you can be hearing that every minute for the rest of your life, or potentially lose your hearing all together. Research suggests that 30 to 50 percent of musicians have hearing problems! 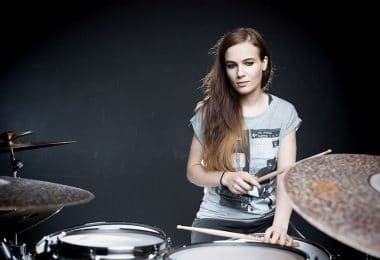 As far as drummers go, a 2006 study by the Percussive Arts Society found that 57.6 percent of professional drummers and 44.2 percent of amateur players have tinnitus. Most drumming would occur around 100 dB, with peaks reaching 120 for really hardhitters on the snare and 20" heavy crashes. Most experts agree that continual exposure to more than 85 decibels is dangerous. Hearing is a musicians greatest and most valuable asset. 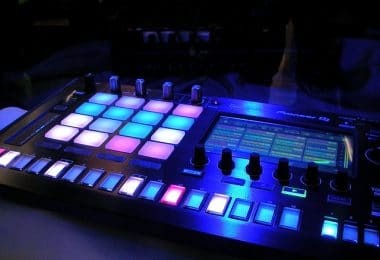 It’s what got you interested in music in the first place, what inspired you to begin playing drums, and what drives your creativity behind the kit. So it makes sense to protect your hearing while drumming at all costs so that you don’t have a miserable future. Luckily there are a bunch of options to choose from at different price levels. 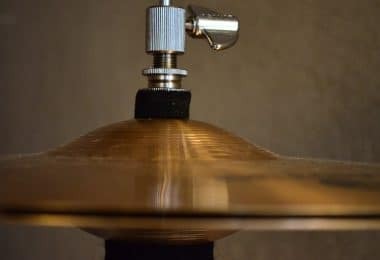 Let’s take a look at some of the different options you have for drumming hearing protection from cheapest to most expensive. The cheapest route to go is foam earplugs. You can guy a huge bin of these for under $10 usually, and being disposable means that you don’t need to keep track of them as if they were worth $100. The big downside of foam earplugs is that they will mute certain frequencies more than others, leading to a muffled and unclear sound. On top of that, they aren’t the most comfortable things to put in your ears. Still, the cost and the ease of transportation make these a great all-around solution to keep around in-case of emergencies. Ear muffs are basically big headphones that cut out certain sound frequencies, but without wires or speakers. 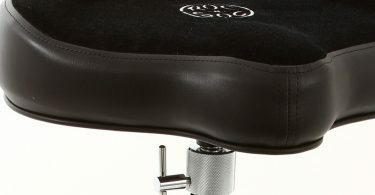 Usually designed for use with firearms, they are perfect for musicians of all types as well. 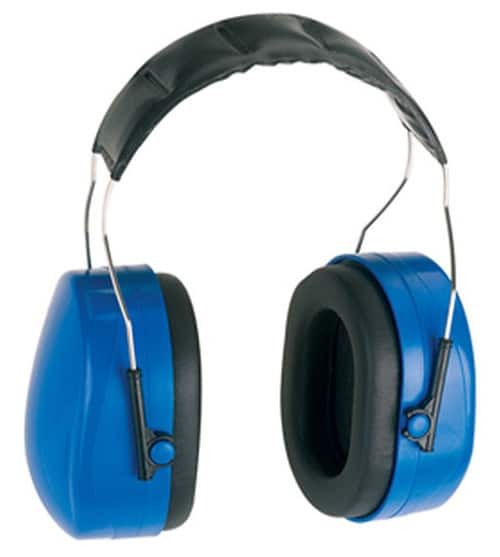 3M and Decibel Defence both make some great earmuffs that filter out the higher frequency sounds. I used to use a pair of Vic Firth ​headphones that worked great. Recently though I’ve moved over to in-ear plugs since I find the sound quality a bit more crisp and clear. Ear muffs actually tend to make the drums sound better and more like you would hear on an album because of the lowered high frequencies. The cymbals aren’t as harsh on your ears, so it’s a pleasure to listen to. The one downside is that some of your soft ghost notes might go unheard and you’ll need to play a bit harder to hear yourself. Chances are though you’ll be using ear muffs for heavy music and not for soft jazz so this shouldn’t be too much of a problem. The next step up would be in-ear plugs made from silicone. These are great because most good ones are designed to cut back on all frequencies evenly which leads to a crisp and clear sound - all while protecting your precious hearing. I personal use the Westone TRU Universal WM16 Ear Plugs. I love using them when I play drums because it’s specifically designed for a tuned, flat attenuation response and it lowers all frequencies as evenly as possible. I'd say they are the best drummer ear plugs for the money. I bring them along to every concert I go to as well since they work way better than foam earplugs for both blocking out the damaging frequencies and producing a clear sound. In addition they are barely noticeable and easy to carry around. If you like the idea of in-ear plugs but want to be able to have speakers built-in so you can hear an audio source, in-ear monitors are for you. 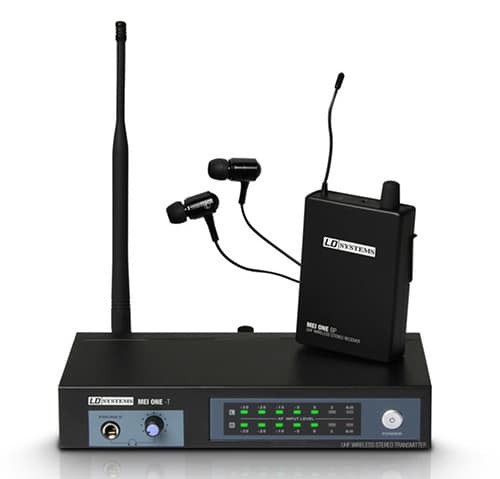 Usually you will buy a package that comes with a transmitter and receiver. It will scan all available frequencies to find one that is clear for you to use for minimal interference, and usually you can hook up an unlimited number of receivers. The most common in-ear monitors utilize a wireless connection to send the mix directly to the users ear, usually from a small transmitter that’s about the size of a pack of cards. Be aware that these packages can cost quite a bit, but if you are a serious gigging musician it’s definitely worth looking into. 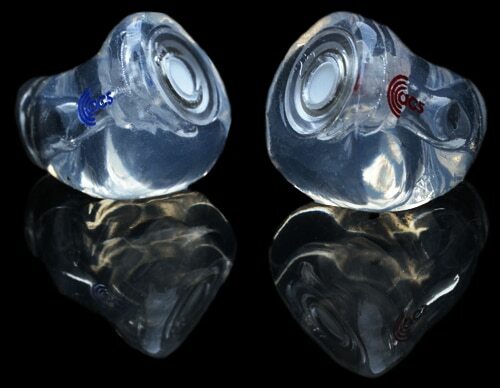 Check out our post on the best in-ear monitors to learn more. 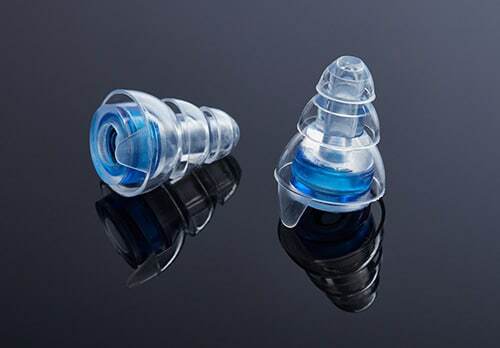 These are custom-molded ear plugs that you can only purchase from hearing professionals. They tend to be on the pricey side since they are custom made for you, but it’s pretty much as good as you can get for hearing protection. These are for the professional musician that needs to hear even the softest music clearly, but needs to protect their hearing at louder decibels. If you are playing loud rock-style music there is really no need to go this far, but if you are playing in a professional orchestra or something similar these would be your best bet if you want to protect your hearing. One option that wasn’t really available to drummers in the past is getting an electronic drum set. 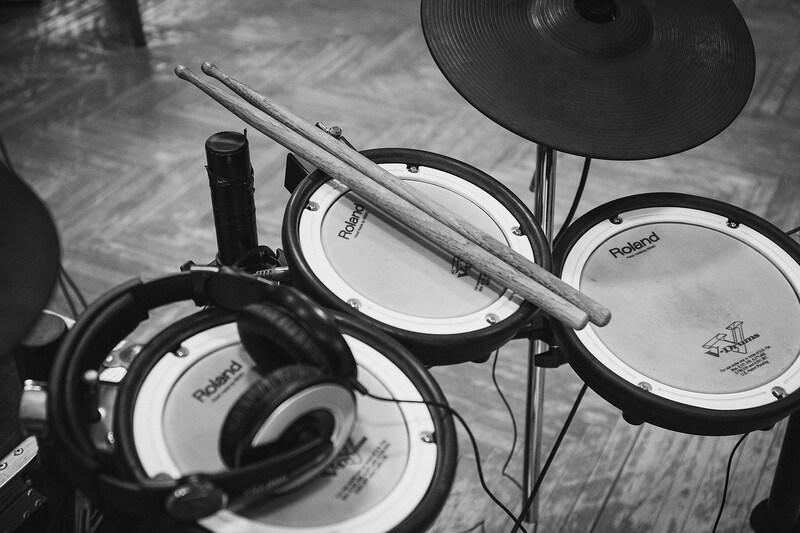 With the rapid advancements of sound technology, electronic drum sets are sounding closer and closer to the real thing. And the best part? You can play with headphones on and set the volume level to your own liking. You don’t have to worry about annoying the neighbors or damaging your own hearing, and you can play at all hours of the night. I love my electronic drums and without it I wouldn’t be able to play drums at all in my apartment. The only thing to watch out for is to not get in the habit of turning the headphone volume all the way up. This is just as bad if not worse than playing on a real drum set without hearing protection. As you can see, there are a ton of options to choose from when it comes to hearing protection for drummers. It’s important to take care of your body, especially when it comes to things like your hearing which doesn’t heal over time once damaged. 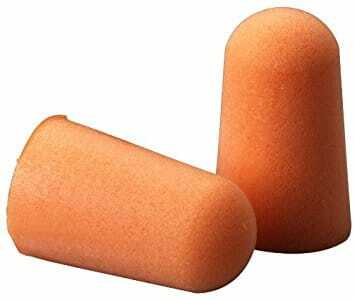 For the average drummer, I’d highly recommend either a pair of ear muffs or silicone in-ear plugs. They are affordable options that get the job done and don’t negatively affect the sound of the drums like a cheap pair of foam plugs would.